Project 365 – Day 25 – What’s for Breakfast? I love cereal, and I’m pretty sure there were a couple periods in my life when I practically lived on it. The best thing about cereal is that it can satisfy almost any craving. Looking for something hearty to fill you up? Try Shredded Wheat or Grape-Nuts. Need a chocolate fix? Grab a box of Cocoa Puffs. Just feel like a good old fashioned overdose of sugar? Pour yourself a bowl of Lucky Charms or Cinnamon Toast Crunch. I can’t really say that I have a favorite. My tastes change depending on my mood and my particular craving. There are a few though, that make regular appearances in my pantry. I am cuckoo for Cocoa Puffs. I tested Kix as a kid, and now approve them as a mother. Frosted Flakes are grrrrreat. And some days, I just gotta have my Corn Pops. I rediscovered Cheerios a few months ago when I introduced them to my daughter. 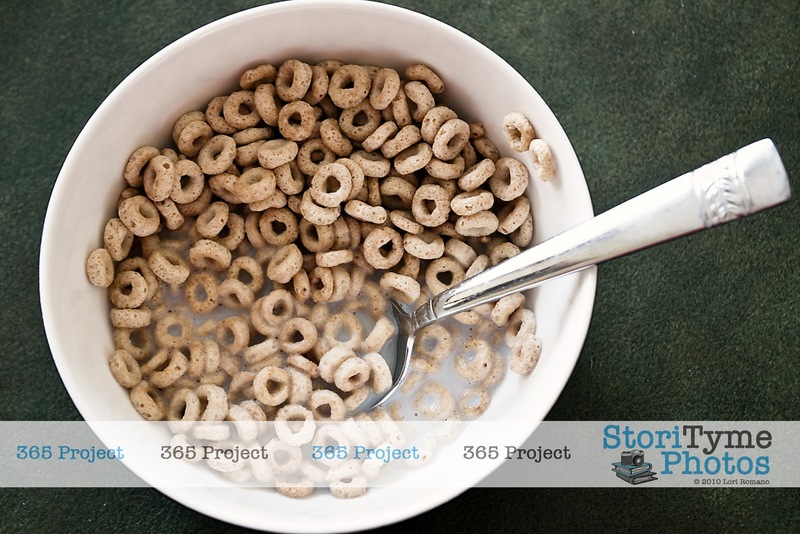 I must admit, with the hundreds of choices in the cereal aisle these days, I’d forgotten just how deliciously simple a bowl of Cheerios can be. 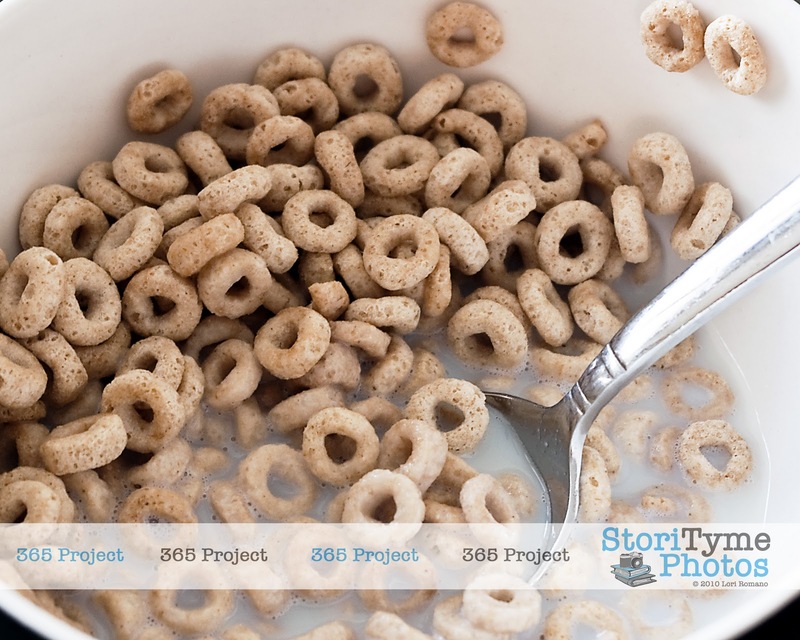 Today’s 365 Project entry is dedicated to my favorite breakfast cereals. Which ones top your favorites list?